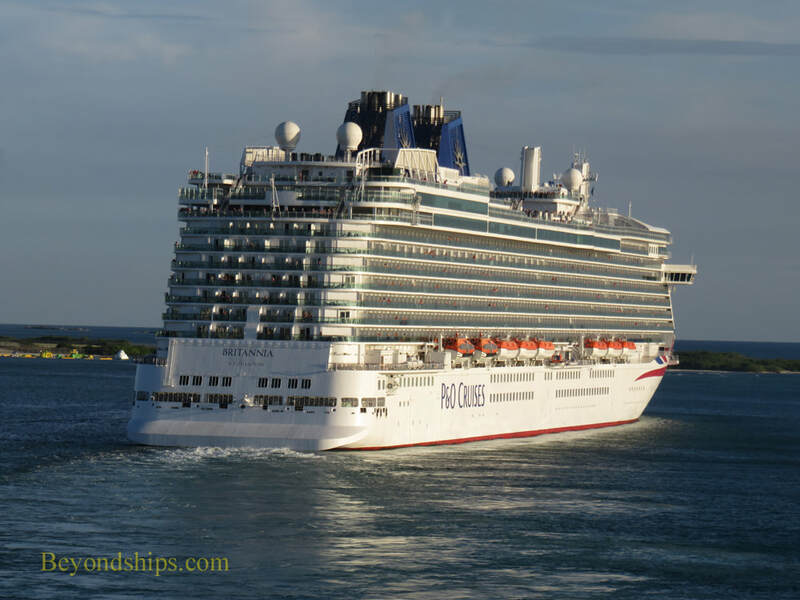 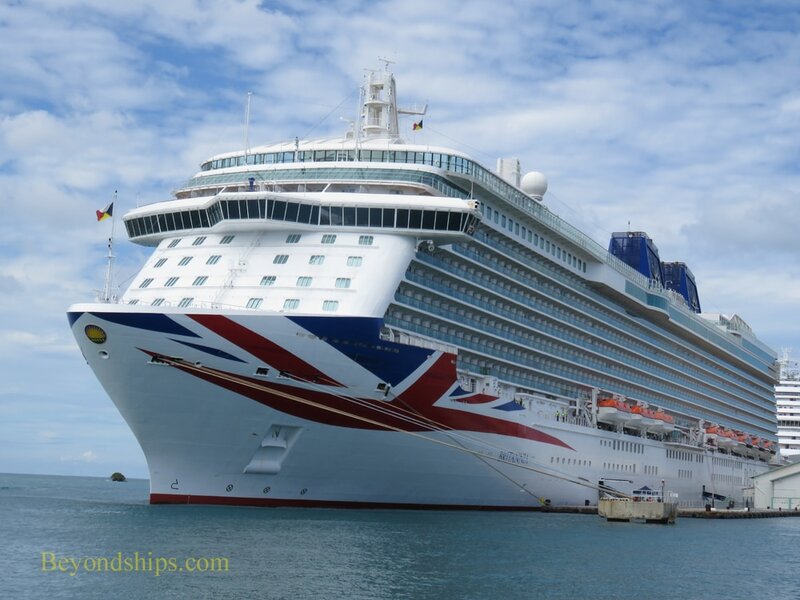 A bright sunny day in the Southern Caribbean finds Britannia docked in Oranjestad, Aruba. 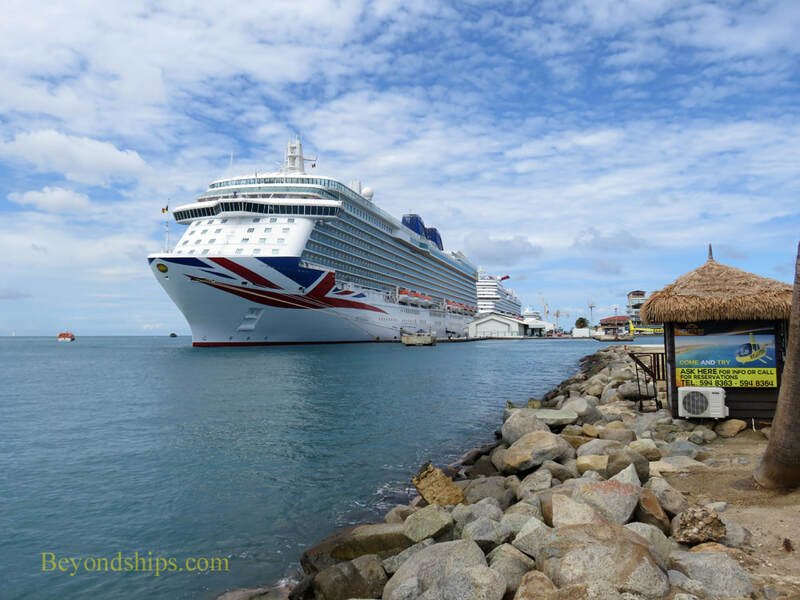 (See our profile of Aruba). 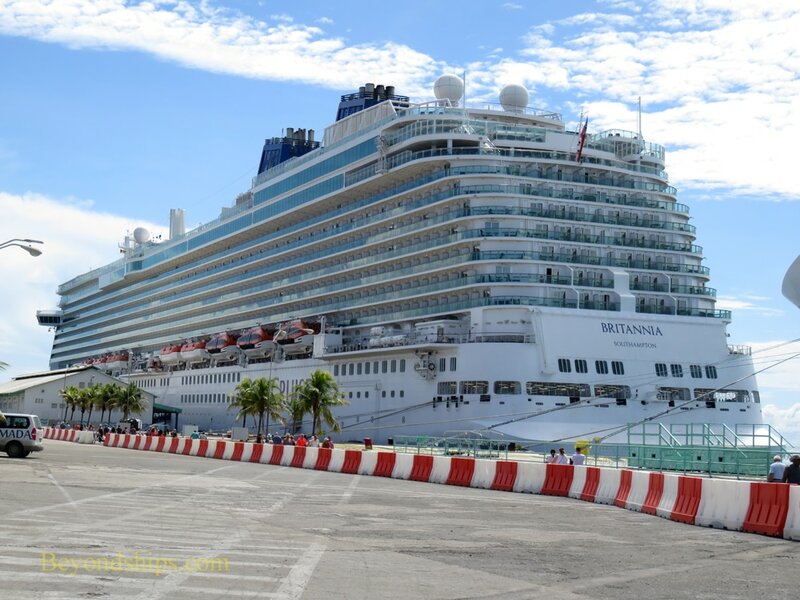 Her berth parallels Oranjestad's main street, which is only a short walk away. 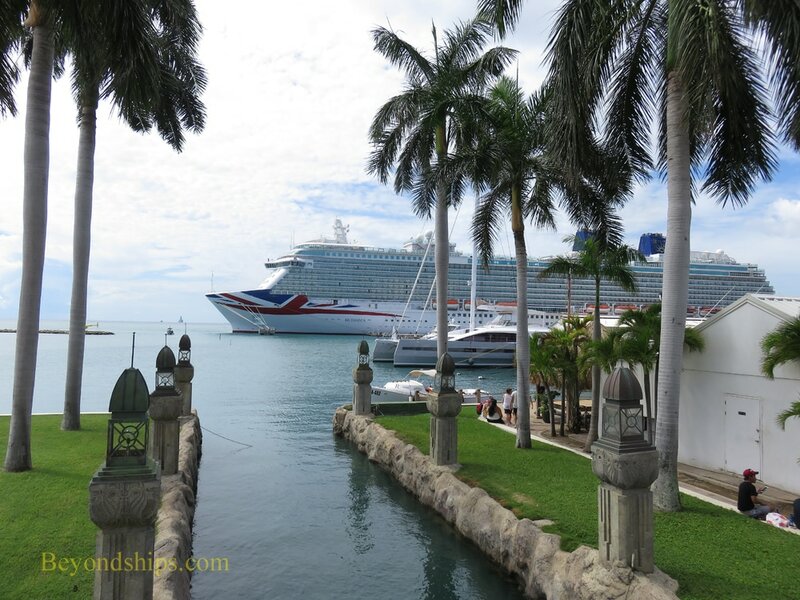 The numerous shops and cafes obscure the ship from the main street near the cruise port. 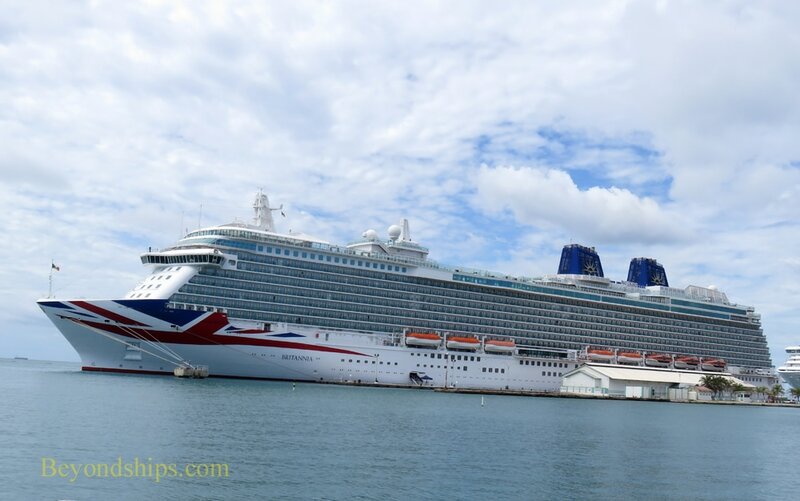 However, walking further along, Britannia can be seen from the marina and the resorts. 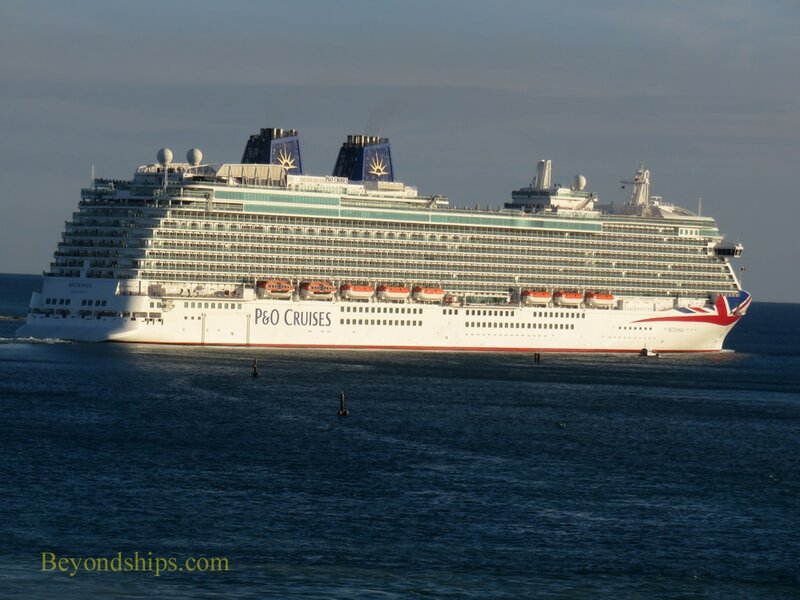 It is a busy port and two other large cruise ships are with Britannia. 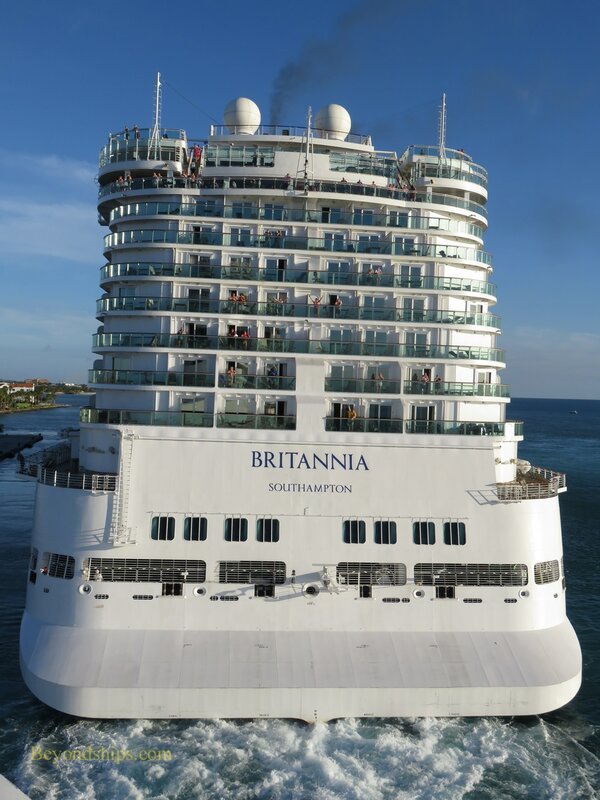 ​In the late afternoon, Britannia is the first ship to get underway. 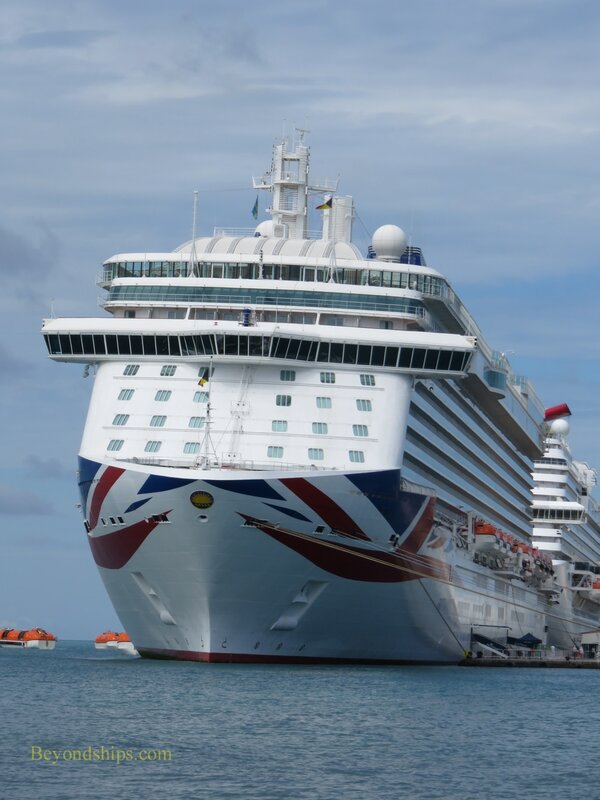 Although the harbor appears to be a wide open expanse, the water is shallow in places and so Britannia has to parallel the shore before turning out to sea.